Turkey Once Hoped to Shape a Post-Assad Syria. Now What? 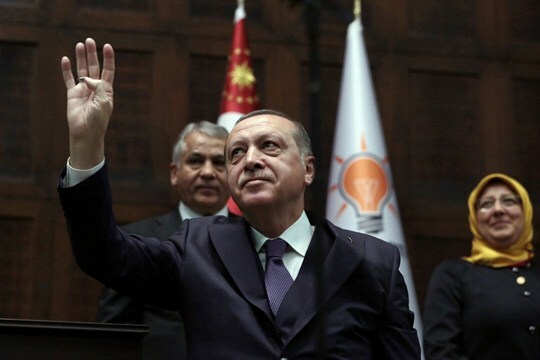 Turkish President Recep Tayyip Erdogan acknowledges his supporters during an appearance in parliament, Ankara, Turkey, Nov. 21, 2017 (AP photo by Burhan Ozbilici). Editor’s note: This article is part of an ongoing series on the Islamic State after the fall of Raqqa and the outlook for Syria and its neighbors.